Donald Glover’s goal for Atlanta was simple: “The thesis with this show was to show people what it’s like to be black, and you can’t write that down. You have to feel it.” Judging by the show’s critical praise and strong resonance with its fans, he thoroughly succeeded in his mission. Here’s everything you need to know about FX’s genre-bending show set in the Atlanta rap scene. 1. Earn, the show’s main character, is broke, has no home, and struggles to make enough money to support his infant daughter—who he could easily sell online for like $5,000 if he knows where to look on the dark web. 2. The show pays frequent tribute to Atlanta culture, with stand-up comedy from Atlanta native Jeff Foxworthy opening and closing each episode Seinfeld-style. 3. Alfred Miles, Earn’s cousin and an aspiring rapper, adopts “Paper Boi” as a stage name, which is short for “Paper Plate Of Boiled Eggs,” the only thing that he ever eats or raps about. 5. Vanessa, Earn’s on-again/off-again girlfriend and the mother of his daughter, is always furious that Earn won’t sell their infant daughter on the dark web and just buy a new infant daughter off the dark web that’s less expensive to raise. She downloaded the Tor browser and everything. All Earn has to do is say yes. 6. Not a single cast member, writer, or director associated with Atlanta has cited Jim Belushi’s work in According To Jim as inspiration for the series. 7. Donald Glover’s character is a Princeton dropout, a subtle nod to Princeton being lame, boring, and less appealing than having a cousin who raps. 8. All of the marijuana seen on the show is actually just oregano, but all of the oregano eaten on the show is actually marijuana. 9. Earn’s infant daughter sold for a solid $200 on the dark web in the first episode of the second season. 10. 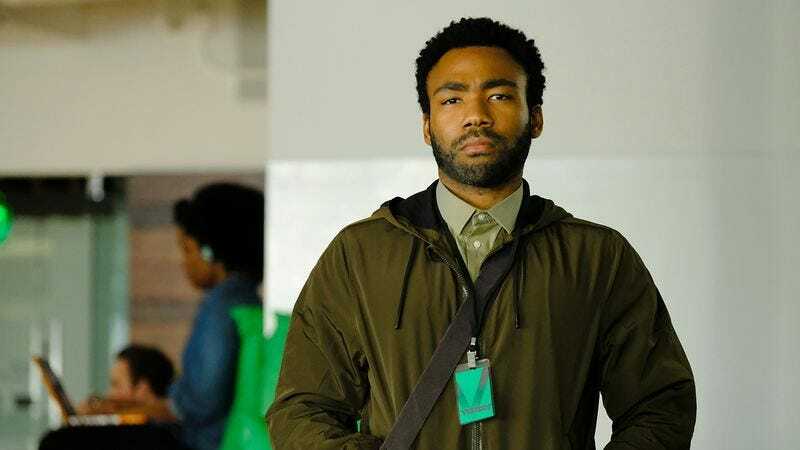 With the show shot and set in Atlanta, Donald Glover considers one of its main characters to be New York City itself.